Take your brew to parties and events with a handy growler filler? What homebrewer hasn't wanted to take their brew with them, or had a friend wish they could get a growler of fine homebrew to go? With this growler filler, you can do it all! This growler filler fits on Perlick 525 series faucets and fills growlers from the bottom up, ensuring carbonation stays in solution. Be the hit of the next party with a growler filled from your own home faucet! 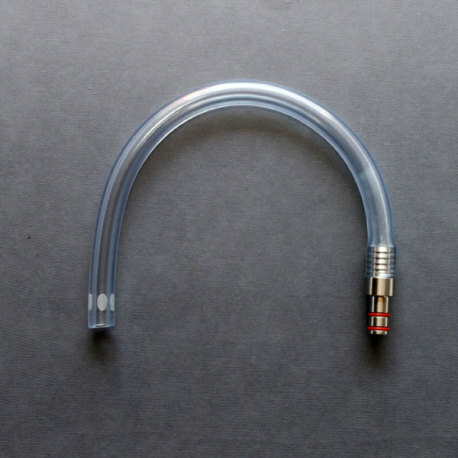 PLEASE NOTE that this filler will NOT work on the current 630SS or 650SS series Perlick faucets, which are the faucets currently for sale from Great Fermentations.